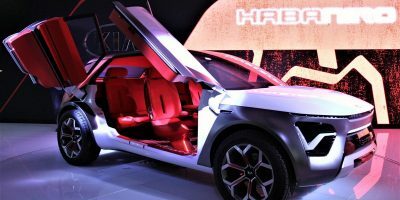 With CES in the rearview mirror, the world’s top auto manufacturers got their turn to showcase their new offerings for 2013 this week at the North American International Auto Show (NAIAS) in Detroit. The normal brow-raising concept cars and high-performance engines were on display, along with a broad range of telematics and advanced driver assistance systems (ADAS) integrations. Infiniti unveiled a new infotainment system, “Infiniti InTouch.” The InTouch system offers dual touchscreens that run on hand gesture recognition technology. The screens aim to give the driver more simultaneous information; for example, turn-by-turn navigation on the top screen and POIs on the bottom screen. Safety features under the “Safety Shield” umbrella include forward collision warning, blind spot intervention, and lane departure prevention. The system will debut on the 2014 Infiniti Q50. “We have new technologies that embrace the way people live today – seamless connectivity and personalization everywhere they go, including while in their cars, with an optimized human-machine interface for ease of use,” says Infiniti President Johan de Nysschen. Chrysler, fresh off updating its Uconnect infotainment system at CES, rolled out the 2014 Jeep Grand Cherokee with an 8.4-inch Uconnect touchscreen embedded in the dash. The integration includes a voice-recognition feature that allows for hands-free texting and voice control of the radio and navigation. ADAS features on the vehicle include park assist, adaptive cruise control, and crash mitigation. Mercedes-Benz introduced two new vehicles to the E-Class line. The 2014 Saloon and Estate come equipped with the mbrace infotainment system and the Mercedes-Benz Intelligent Drive bundle. Included in the bundle are various ADAS features, such as collision warning, active lane keeping assistance, attention assistance to prevent driver drowsiness, braking assistance, and steering assistance. Hyundai displayed advanced human-machine interfacing controls in a concept car dubbed the HCD-14 Genesis. The HMI eliminates manual controls and button and knob clusters. In their place, intuitive eye-tracking allows drivers to select infotainment features, such as navigation or internet radio, and then control the features via 3-D gesture control. No word on when this HMI might find its way onto dealers’ lots, but Hyundai says its the company’s vision for future in-car connectivity platforms. Outside of NAIAS, six new European countries—Belgium, Bulgaria, Denmark, Luxembourg, Spain and Turkey—joined the pan-European project HeERO to develop eCall. HeERO is an international project, supported by the European Union, that aims to help EU Member States in preparing pilot sites for the deployment of eCall in 2015. Nine other countries are already involved in the pilot, including Germany, Italy, Sweden, and Greece. Continental acquired ADAS-experts ASL Vision. ASL Vision makes “surround view” systems that detect the entire vehicle surroundings, fusing radar and cameras to detect complex traffic situations such as lane changes, passing other cars and challenging parking circumstances. 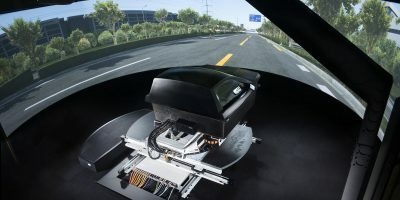 Continental plans to use surround view technology to enhance its automated driving and ADAS offerings under the ContiGuard Safety package. Bosch closed contracts with JAC Motors to develop the first in-vehicle infotainment system based on the GENIVI 2.0 platform in China. One memorable feature of the system is a 3D navigation map that uses pieces of Chinese painting art to highlight landmarks. Plans are to roll the system out to high-end passenger cars in 2014. Finally, Ford unveiled an open developer platform, OpenXC, to encourage developers, researchers, and hackers to focus on using vehicle data to create breakthrough innovations in the car environment. This is Ford’s second announcement of this nature in two weeks; last week at CES Ford launched the Ford Developer Program to open up the SYNC AppLink API to third-party developers. The OpenXC kit allows developers to read data from the vehicle’s internal communications network and provides real-time access to parameters like the vehicle sensors, GPS receiver, and vehicle speed. For exclusive business analysis and insight about telematics applications, see Industry Insight: Telematics and Apps. For all the latest information and trends in V2X and driver safety, visit V2X for Auto Safety and Mobility Europe 2013 on February 20-21 in Frankfurt. 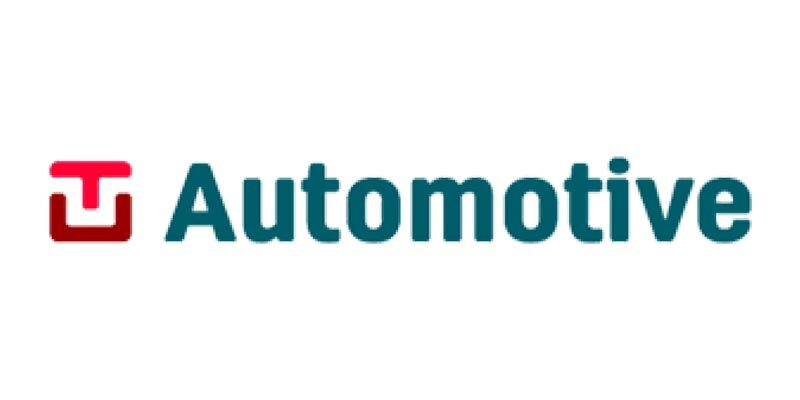 Coming up in 2013: V2X for Auto Safety and Mobility Europe 2013 on February 19-20 in Frankfurt, Telematics for Fleet Management Europe 2013 on March 19-20 in Amsterdam, Insurance Telematics Europe 2013 on May 8-9 in London and Telematics India and South Asia 2013 on June 5-7 in India.